We are back with this week’s best of beacons round-up. In this feature, we cover some interesting news and updates from the exciting beacon scavenger hunt at CES 2016 to some very innovative beacon solutions. So, sit back and check out the latest stories on iBeacon technology. 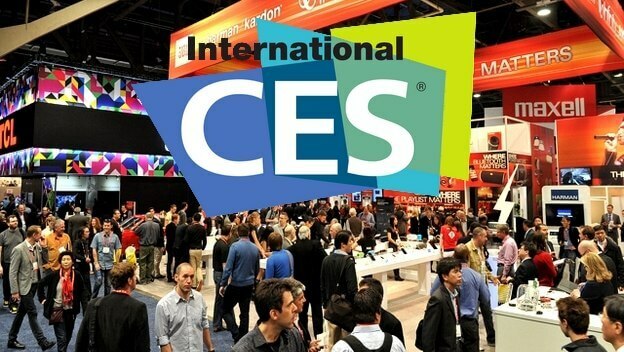 The attendees of CES 2016 will have a chance to participate in a beacon-based Scavenger Hunt that will help them explore the event and compete for special prizes. The first three players to collect all badges will be rewarded with digital cameras while a limited number of prizes will be available for others who complete the Hunt throughout the week. Using proximity beacons by way of a Scavenger Hunt helps CES to promote innovation and showcase the latest in emerging technologies. In addition, it proves to be a fun way to encourage participants to visit important exhibits across the show floor. In addition to scavenger hunts, beacons at events can also be leveraged for a host of other interesting and valuable applications, right from analysing foot falls through heat maps to providing attendees with navigation guidance. Fliegl, a 50 year old German company that makes harvesters and other farming equipment, recently developed an app called Fliegl Tracker using iBeacon technology to help the farming community. By attaching beacons to their fully loaded trucks, farmers can now track when the truck leaves the field where the grains were harvested. Also, as the truck passes through the tracking sensor at the border of a farm, the weight of the truck can be transmitted and recorded via bluetooth. This weight can then used for comparison, the weight of the truck at the final destination in order to check for any grain loss or pilferage. The Fliegl Tracker helps the grain buyer to know the exact farm from where the produce was shipped. This technology also helps with ifood safety by providing food companies with proof on where the grains were harvested. The app is a great example of how iBeacon technology can be used in agriculture and in the future Fliegl plans to use beacons to provide an additional security feature that helps detect every time a truck’s rear gate opens or closes. According to a recent Gartner report, 89% of companies plan to compete primarily on the basis of customer experience in 2016. So much so that, by 2020 customer experience will overtake price as a key brand differentiator. This change isn’t surprising and we can already see it happening around us. For instance, despite the general fear of spamming, year 2015 saw major brands like Elle and Coca-Cola leverage beacons in new and innovative ways that significantly outperformed traditional advertising methods. Elle was able to leverage beacons to drive 500,000 retail store visits while Coca-Cola saw a massive 300x uplift in terms of ad engagement. With leading brands across the globe having already invested in beacons, it is imperative for brands to explore iBeacon technology. 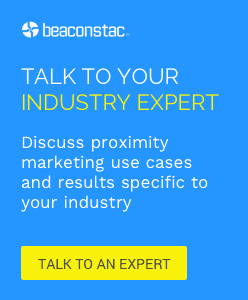 Join us for our upcoming webinar to learn how brands can use beacons to make it big in 2016. Given the omni-channel nature of retail today, ShopAdvisor, a 4-year-old company based in Concord, Mass., has introduced a location-based mobile marketing layer to the app that it hopes will be the breakthrough that retailers are seeking. ShopAdvisor incorporates data analytics that filter a shopper’s preferences and provide a way for retailers to send personalized alerts offering discounts, highlighting sales and providing content such as product reviews to consumers who have downloaded the brand’s app. ShopAdvisor strongly believes that sending personalized marketing messages to customers about something that they actually want, in a location where they can act on it, actually brings value to customers and would not be considered as spam. Exciting year for our space! Thanks for sharing @thinaire:disqus. 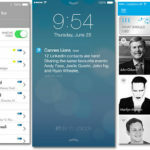 I totally agree with Ginni on the fact that beacons hold great potential when it comes to engaging users better via contextually personalized notifications.